Baseball, men's basketball, football, men's soccer and women's basketball have had relatively constant attendance since 2012. When thinking about sports, some people typically consider different games, matches and meets and the many rules associated with the sport. Others may think about their own experience as an athlete and the fond memories associated with it. Still, some may think about their favorite teams and athletes. Although these are vital components of sports, the unsung heroes in athletics are the fans. Fans are a crucial part of games as they have the ability to rally behind teams after a challenging defeat or advocate for them in their biggest triumphs. With fans maintaining such an important role to their teams, promoters and marketing teams consistently work to maintain fan support throughout the season. To do this, however, they must begin by looking at the trends in attendance. According to Dartmouth athletics department’s press box data from year to year for 13 ticketed sports, the most well-attended sports at Dartmouth are football and men’s hockey. Men’s soccer comes in at a distant third. Football’s lead isn’t much of a surprise, as there are only five or six home games in a typical season, and there is more of a “game-day” atmosphere associated with the sport. Laura Sgrecci, the assistant athletic director for marketing for the Dartmouth athletic department, described some of the trends she has noticed at Dartmouth athletic events throughout the years, including increased attendance with better team performances. In 2015, the football team won a share of the Ivy League title, winning every one of its five home games. The average attendance of home football games that season was 6,660 people, a jump from 5,549 people on average in 2014. Likewise, in the 2012 men’s soccer season, Dartmouth won six of its seven home games, with an average attendance of 1,300 people, higher than the overall average attendance over the last five years of around 990 people. The last game of the season also saw the highest-attended game in the last four years at 2,100 people. That game against Brown University had Ivy League title implications, so the Dartmouth community came out in force to support its team, and it paid off as the team came away with an overtime victory. Men’s basketball’s Ian Sistare ’20 stressed the impact that a home crowd can have on the energy of a team. While football, men’s hockey and men’s soccer do not need much help in attracting fans to their events, some sports that may have venues further away from campus have trouble attracting fans to their events. Sports that are not ticketed also have to use their own resources to get fans to their events. Because of the home competition site’s distance from campus, the equestrian team usually has a core fan base of friends and family. Equestrian also has a more intimate atmosphere that comes with the smaller size of the fan base. Batton echoed Sistare’s statement about fans boosting the team morale. In recent years, Dartmouth’s athletic department has started multiple initiatives to get Dartmouth students and residents of the Upper Valley to come to athletic events. Sgrecci noted giveaways are one of the more common initiatives the Dartmouth athletics department takes. “[We give away] hats, scarves [and] things ... that I tend to hear are popular, something that [spectators] can wear at a game or in the winter since it’s practically winter throughout the year,” Sgrecci said. The giveaways are not limited to clothing items. One of the major new initiatives was the development of the Big Green Rewards app. The app is similar to the polling platform College Pulse in that it gives students points for attending athletic events and rewards those students with prizes once they’ve reached a certain threshold. With over 600 registered students, Sgrecci views the app as a success so far. In addition, Sgrecci incorporated an extra student-athlete component into the app to encourage student-athletes to attend their fellow student-athletes’ events. In order to further increase the number of students registered on the app, Sgrecci plans to promote the app during Orientation. Another initiative that has taken place in the past week has been the “flannel night” at the men’s basketball game against Princeton University on Feb. 10. When planning the event, an important distinction had to be made between “flannel” and “tartan” — tartan is the plaid pattern, and flannel is the material used to make the shirts. The record also specified that each person had to be wearing two tartan articles of clothing, one top or bottom and one accessory. The coaching staff joined in the festivities as well, promoting the event by wearing tartan of their own. Unfortunately, the fans didn’t break the record, but the game was extremely well attended. The men’s basketball players seemed to view the initiative as a success as well. They were certainly appreciative of the fans as the team pulled out its first Ivy League win of the season against Princeton that night. 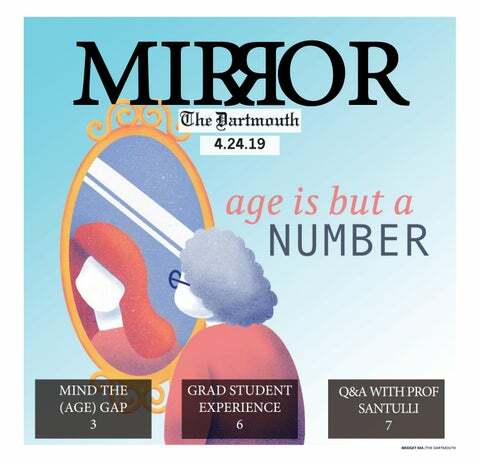 While attendance at Dartmouth athletic events may not always be as high as it could be, efforts are certainly being made to increase the number of Dartmouth students and members of the greater Dartmouth community who support the Big Green.